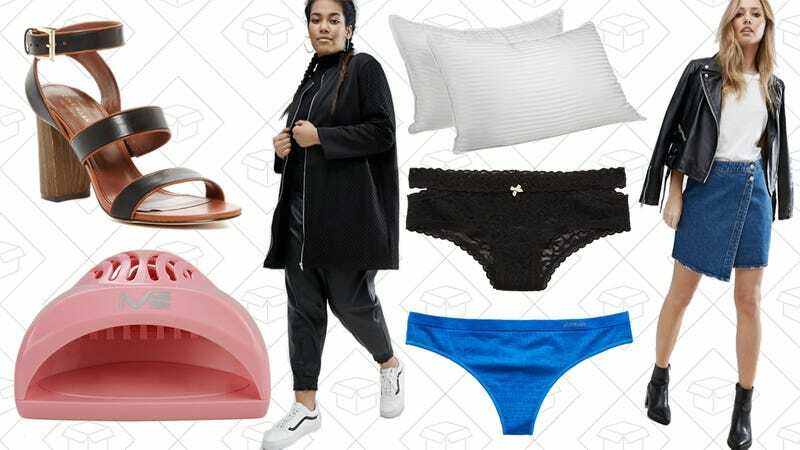 10-for-$30 underwear at Aerie, discounted down alternative pillows, ASOS’s Fashion Week markdowns, and more of Monday’s best lifestyle deals. Urban Decay wants you to spend Monday buying makeup. Stock up on all your Urban Decay favorites, like the Eyeshadow Primer Potion and the Naked Palette, or go all out and splurge on the insane Vice Lipstick Stockpile. With the code UDFF2017, you’ll get 20% off the entire site. You know that Internet saying “I’m only helpless when my nails are drying”? Well, this $8 nail fan will take that waiting time out of the picture. Use the code 9SXRFB8W at checkout and no longer worry about smudging your nails even when you think they’re definitely dry (they never are). American Eagle (and Aerie) have always been a good destination to find simple basics that will last, and denim that isn’t pretentious. Pick up both things (and more) during their BOGO sale on clearance items. Plus, onto of the BOGO, Aerie is giving you 10-for-$30 undies with the code GETCHEEKY, including Sunnie and Shine styles. ASOS is having their very own Fashion Week. This one isn’t full of awkward Instagrams, editors battling for front row, or branded Ubers. This Fashion Weeks is a week full of trends, a new one every day, being marked down 20%. Today, it’s all about the ‘80s. If reliability is something you crave in a pair of shoes (if it isn’t, you may need to reconsider), I bet you have Cole Haan in your closet. And if you’re looking for a new pair but don’t want to spend the normal asking price, Nordstrom Rack is having a huge sale on everything Cole Haan. Men’s and women’s styles, plus handbags are included. 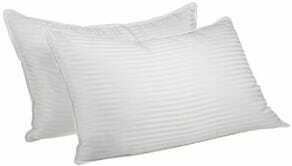 When it comes to getting a good night’s sleep, it really starts with the pillow. You’ve probably had yours way too long and it’s time to replace that sucker. 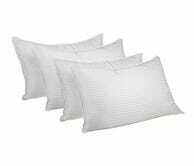 Amazon’s Gold Box is (down alternative) filled with 2- and 4-pack pillow sets for great prices. 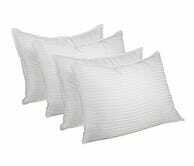 But don’t sleep on this deal, because it’s gone at the end of the day. 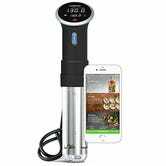 If you’ve ever eaten at a nice steakhouse, you were probably eating sous-vide meat, and you can make it yourself with the newest Wi-Fi version of Anova’s top-selling immersion circulator for $170, or about $30 less than usual. We’ve seen this model for less, especially around Black Friday, but $170 is about as low as it’s been dipping this year. So go ahead, treat yourself. 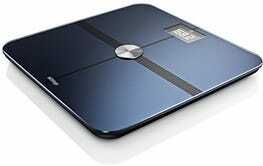 If you’re starting to work off your winter blubber, the ever-popular Withings Body smart scale can help you monitor your progress. $75 (after you clip the 25% coupon on the page) is within about $7 of the best deal we’ve seen, and the best price of the year. 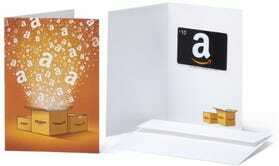 Dremel Hatch Project Kit + $10 Amazon gift card, $50. Add both to cart to see discount. Dremel’s coming out with a painting kit, for some reason, and if you preorder now, you can get a bonus $10 Amazon gift card. 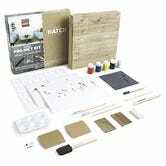 The Dremel Hatch Project Kit doesn’t require a Dremel at all, it’s basically a wooden canvass and step-by-step instructions to create a piece of art. You can choose from 80 different skyline templates, or just paint whatever you want. Just add this $10 gift card to your cart along with the kit, and you’ll get a $10 discount automatically. 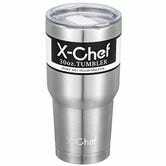 I know there have been a lot of deals on these YETI-style tumblers lately, but $9 for 30 oz. (with a lid!) 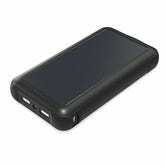 is insanely cheap. 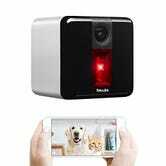 Petcube Play is a Wi-Fi camera (1080p now and with night vision, rather than the old version’s 720p), intercom system, and laser toy all wrapped into one sleek package, and Amazon is selling it today for $149, an all-time low. The video above does a better job of explaining this thing than I ever could, and if you own a pet and spend a lot of time away from home, it certainly seems like it could be a great investment. Suffice it to say, ESPN’s Oscar-winning, 7+ hour documentary on O.J. Simpson is the definitive work on the subject, and the theatrical edition Blu-ray can be yours for just $12 today, an all-time low. 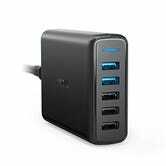 Anker makes your favorite charging cables, USB battery packs, and USB charging hubs, and one of each has a larger-than-usual discount in today’s Amazon Gold Box. 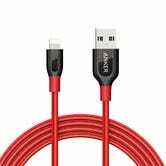 The Powerline+ Lightning cable is 6' long and features a nylon-braided exterior and kevlar-reinforced wiring, while both the PowerPort Speed and PowerCore Speed include Quick Charge 3.0 support for compatible devices. Just note that these prices are only available today, and they will likely sell out early. There are times where you don’t want to lug around a laptop, but still want to get some actual work done on your phone or tablet. 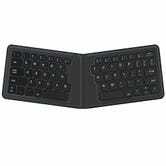 This folding Bluetooth keyboard gives you a full-sized typing experience and an ergonomic layout for banging out emails on any device you own, and it can be yours for $24 today with code JKL4GH9Q. If you spend a lot of time outdoors, or just want to be prepared for a long power outage, it’s easier than ever to charge your phone with the power of the sun, and you can pick from two solar-powered USB charging gadgets for $35 each today. 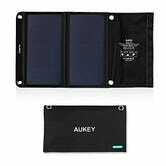 The 14W panel includes two USB ports for charging your phones and tablets, while the 20,000mAh battery pack actually has a small solar panel built into the side, allowing it to trickle charge itself throughout the day.